I feel like I've been away from the racing scene for an eternity, while in reality it has only been about 2.5 months. I've appreciated the downtime while coaching my daughters soccer team this spring. 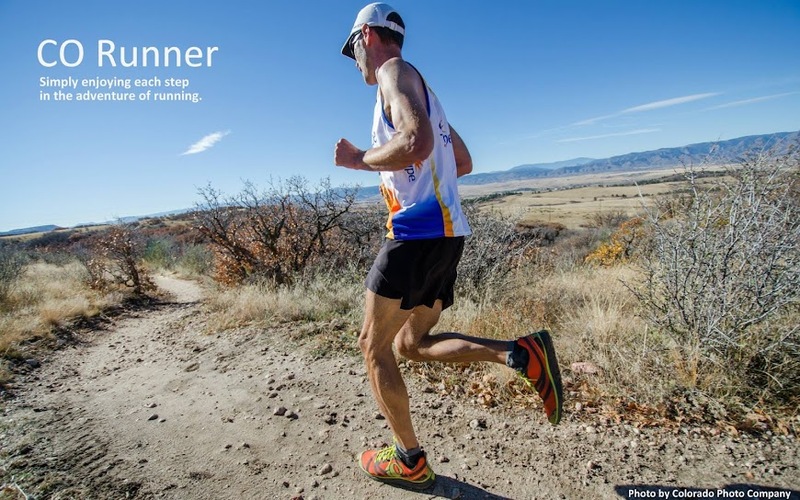 My training has included just enough consistency to get by and gear up for the Collegiate Peaks 50 this weekend. I have low expectations, but think if I can at least replicate the steady pacing and fueling similar to Moab, I should be in for an okay run. I've been hitting up Mt. Falcon again this spring and feel like my climbing legs and ability to run technical trails is slowly coming around. I'm probably about a month behind where I was at last year. Hopefully CP is the spark I need to build my endurance and get ready for the Golden Gate Dirty Thirty. Any day I'm not in the foothills, I can be found out wandering the Highlands Ranch trails. One Saturday morning, I was 3 miles into a 10 miler and needed to make a pit stop. As I was standing up near a tree, I could see a glowing white stick shining through some brush. Upon further staring, it wasn't a stick at all. I finally found the treasure I've been hunting for years. An antler!! There are deer all over the place in the backcountry, but I've never been able to find one...until now! What a sight I was running for the next 7 miles with what looked like a claw coming out of my hand. I've since found a few more treasures this week. Only 5000 more bones and I'll have the full skeleton! Picturing you running 7 miles with that antler/claw cracks me up. Nice find! I can't wait to hear the story when you find a moose antler up in the mountains. That is bound to be epic. See you in Buena Vista! I'll totally run with any size antler - any distance. I'm hooked! No so hooked on the rest of the bones though. BV!! Hey, I don't want any calf popping issues from you this year! Hilarious. Awfully generous of your wife and family to be cool with that. I used to pick up bones on trail runs in high school and it freaked my parents out. 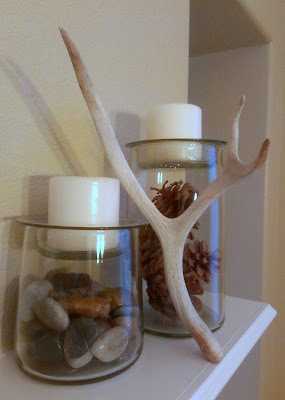 Everyone in the house thought the antler was cool. I've been told the teeth have a very short display window. My girls are now conditioned to enter the kitchen very cautiously after I return from a morning run. They never know what they'll see up on the mantle! Sweet, but don't tempt me! If I collect enough, I might be able to make one of those hanging antler chandeliers! Oh man that is so funny and awesome! 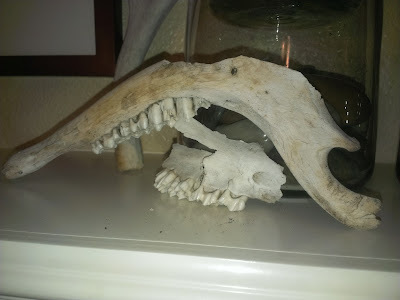 I found an antler once as well, but it was on a hike that required me to carry it for 3 miles. That prize I found is still in my backyard some 10 years after I found it. I'm guessing my antler will end up in the same place. Thankfully it's small, so I might be able to blend it in somewhere inside so it receives approval from the Director of Home Decor.